With the shortest day of the year upon us, making the most of what light is available is often at the forefront of our minds – especially here at VisionAGI. Rooflights can provide the answer – not just in winter when we really need to take advantage of those available daylight hours, but year round when we can relish the lighter, brighter, longer days. 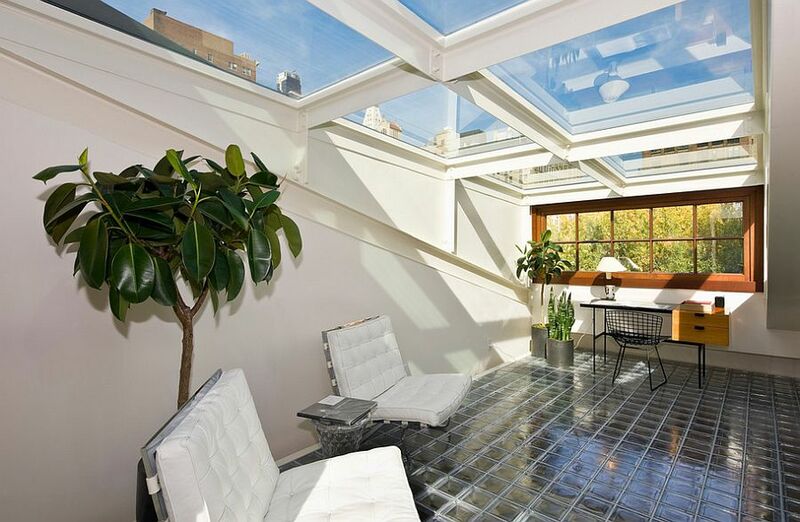 So, when we are talking rooflights why not replace your entire roof with glass rather than just installing one? The results can be nothing short of spectacular as you can see from this home office open to the sky by Michael Haverland Architects. If you run a creative business from home or are an artist, then the light becomes even more important. 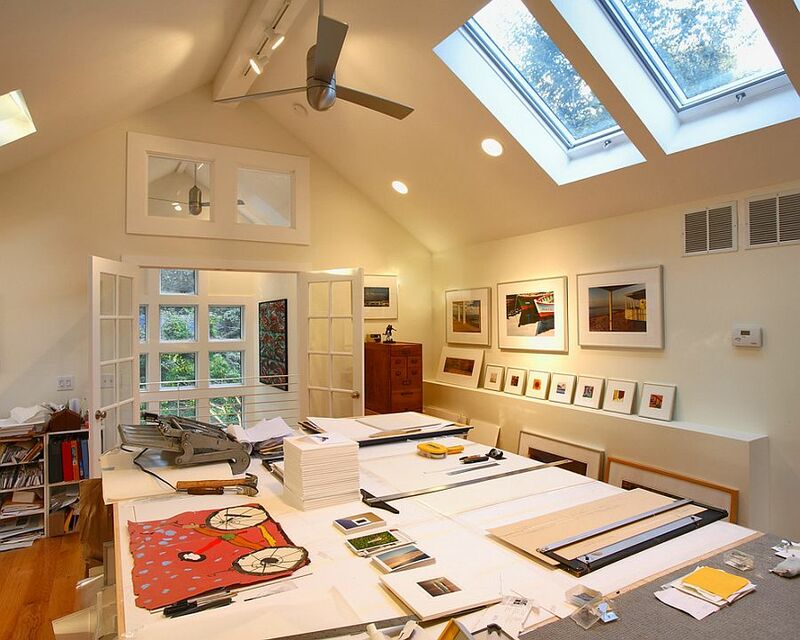 We love these artists studios and one which also combines a home office by Feldman Architecture and Sellars Lathrop Architects respectively. 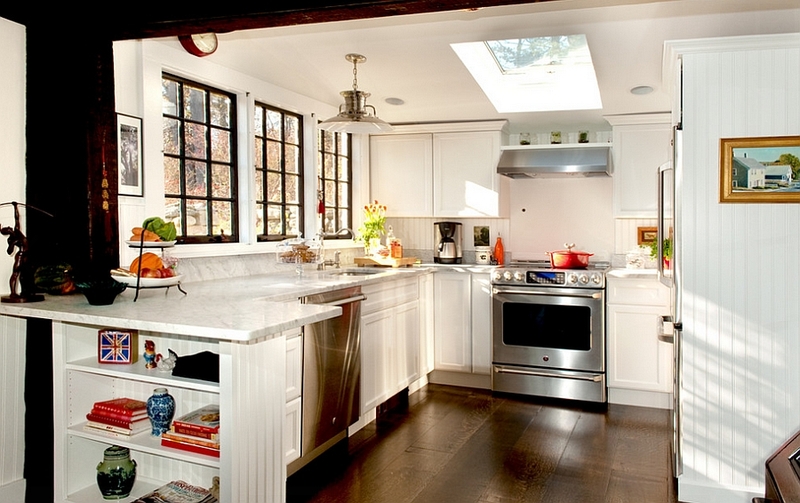 The kitchen is the heart of any home and often the one that benefits most from the addition of rooflights. There is after all, nothing like natural light to lift your décor and also make the room look bigger. If you think that your kitchen is way too small, then this compact farmhouse themed kitchen proves that small is not just beautiful – but well-lit too! 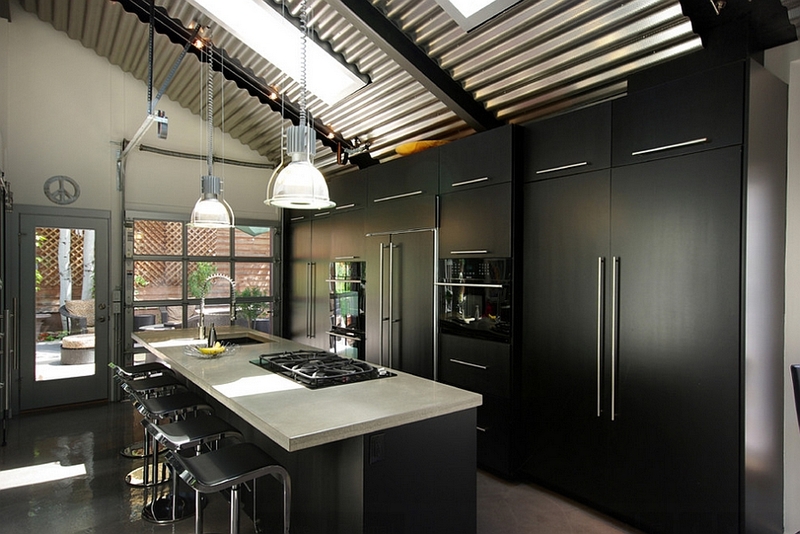 If your taste is more industrial, then look at the impact that adding some light to a dark monochrome décor brings as in this project by the Renovation Design Group. Perhaps you’re in that enviable position where you can plan your dream kitchen and space and cost really aren’t a factor. 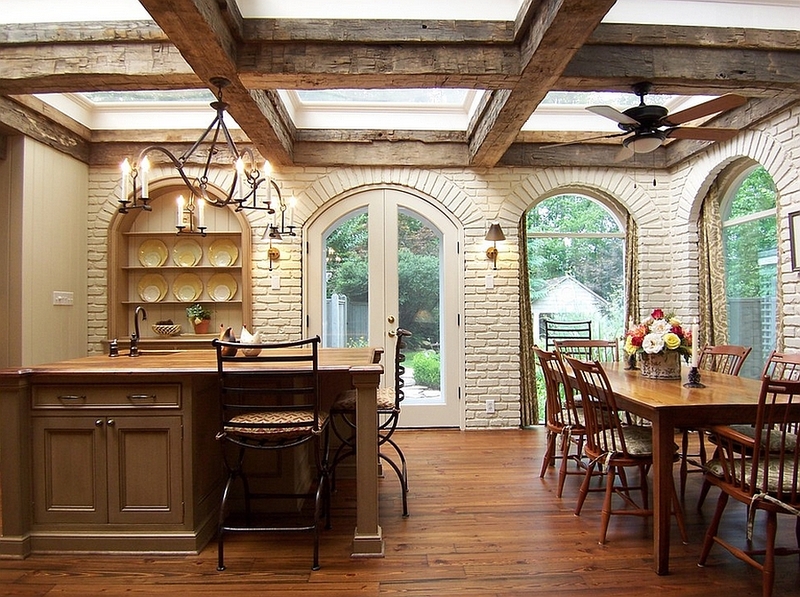 We just love the rustic beams around these rooflights in this kitchen by Brian Patterson Designs. 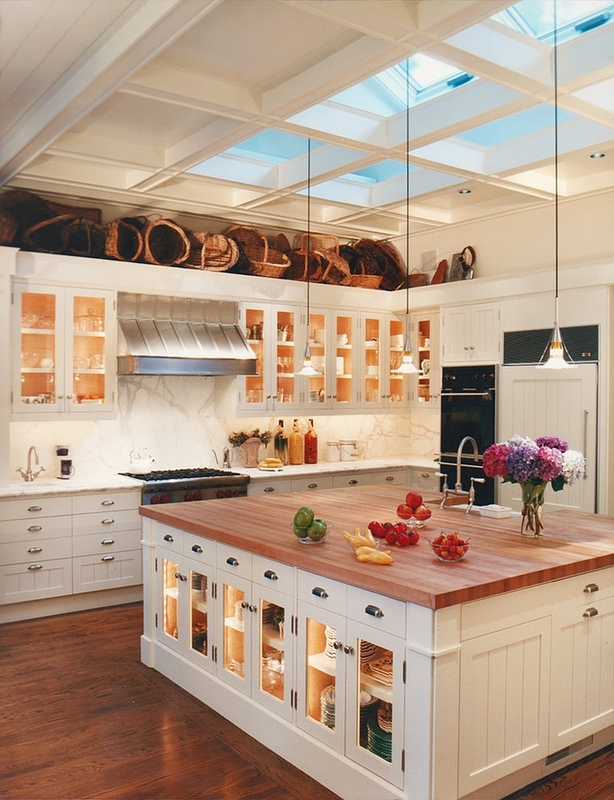 Sutton Suzuki Architects have used a double layer of rooflights in this stunning traditional kitchen design which for most of us, is probably a lottery-win dream. However, at VisionAGI we are adept at coming up with the light source solution that fits your budget, lifestyle and home when it comes to rooflights. If you’re inspired then we’re equally inspired to help you. Contact us on ways to beat the winter blues and to live in the light all year round.